Mackinac Bridge: an engineering marvel! 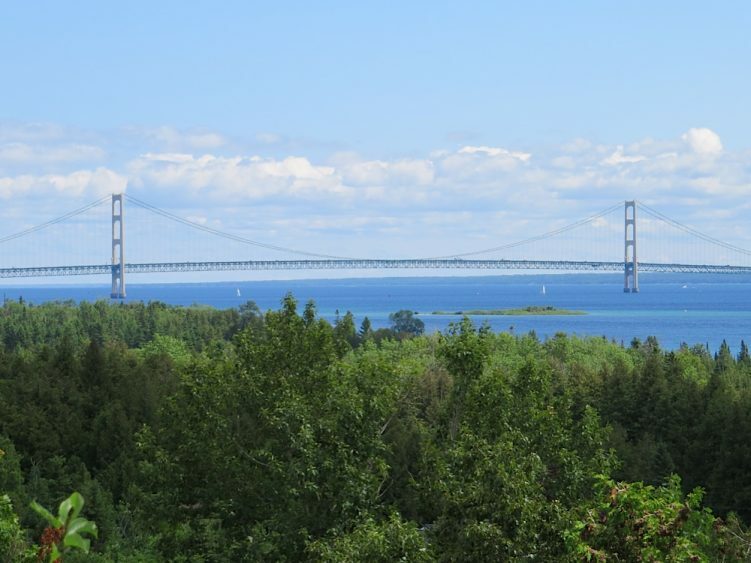 The Mackinac Bridge is currently the fifth longest suspension bridge in the world. It is also the longest suspension bridge in the western hemisphere. The bridge connects the lower peninsula with the upper peninsula of Michigan. The bridge opened to traffic on November 1, 1957 and is five miles long. 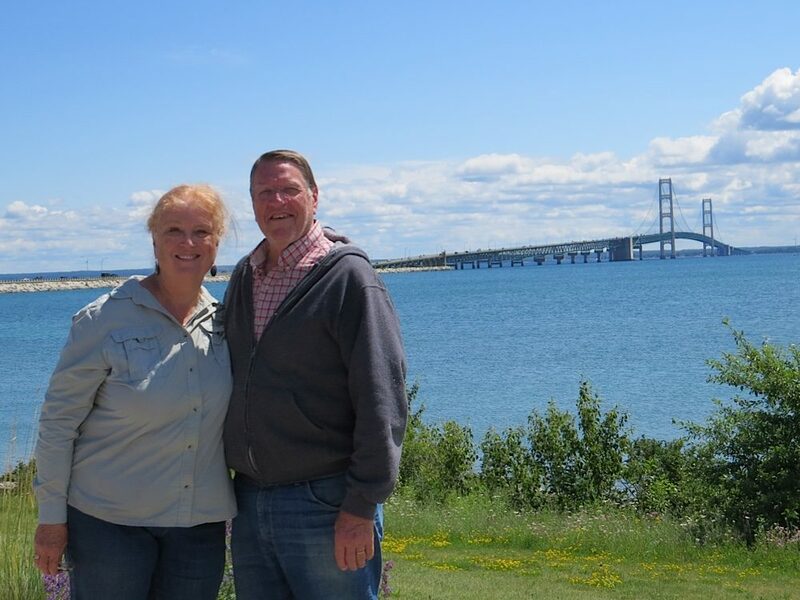 Crossing the Mackinac Bridge always brings back memories to us. We spent a couple of days in Mackinac City and traveled over to Mackinac Island on our honeymoon back in August of 1966. The bridge had only been open for nine years at that time. We remember standing on the shoreline and looking out at the bridge encased in fog during the early morning hours and twinkling brightly in the evening as the bridge lights lit up the sky. Obviously the bridge isn’t a “destination.” But it’s certainly worth some time spent in crossing it and considering the engineering that went into its construction. We learned that in high winds the center section of the bridge will slowly move either East or West up to 35 feet. And when the wind subsides, that section will slowly move back into its proper position due to the weight of the traffic crossing the bridge. 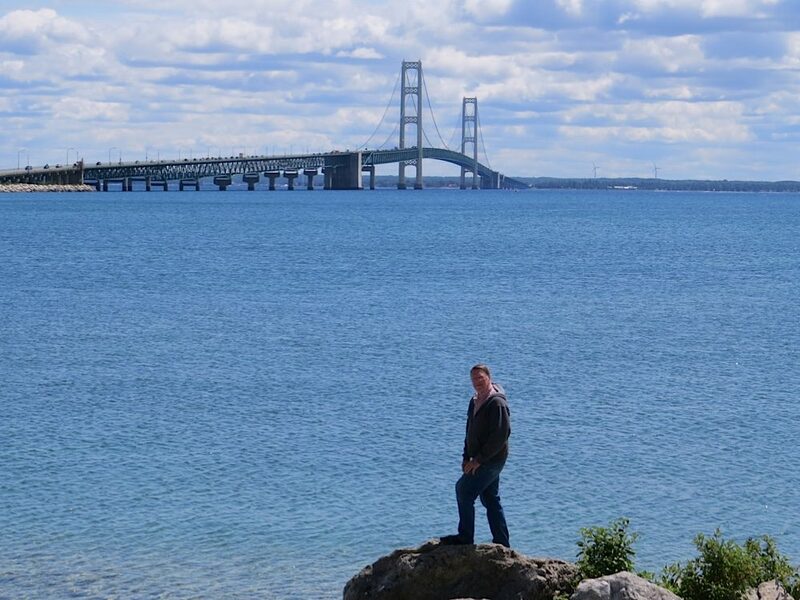 So, don’t just think of the bridge as a means to get to the Upper Peninsula, or to the Lower Peninsula, but give glory to God for the wisdom He has given to mankind to construct this piece of architecture.